There is no denying that white kitchens have become the go-to for renovators over recent years. 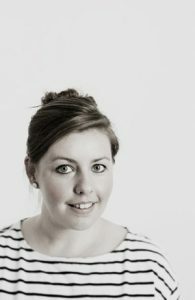 They’re timeless, clean, versatile…. and very safe! 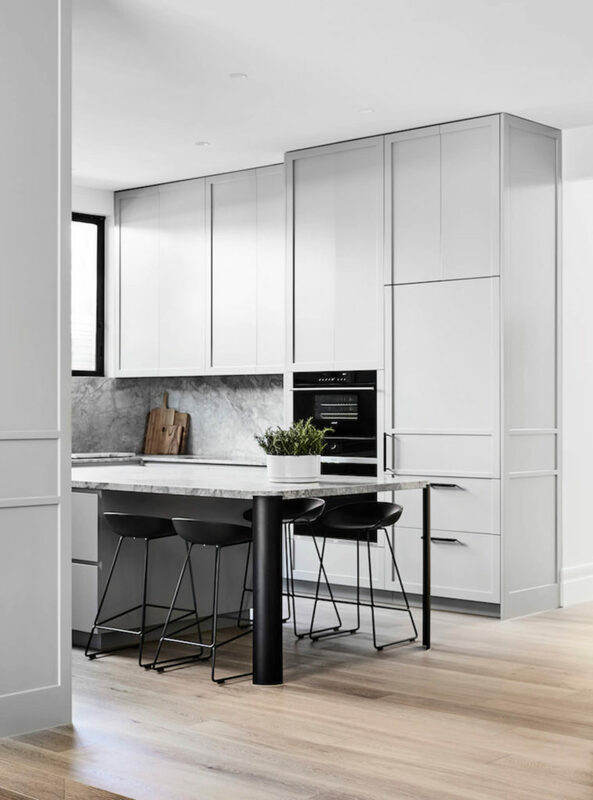 Don’t get me wrong, I really do love a well-designed white kitchen, but it’s not the only option when it comes to achieving a stylish, modern kitchen. 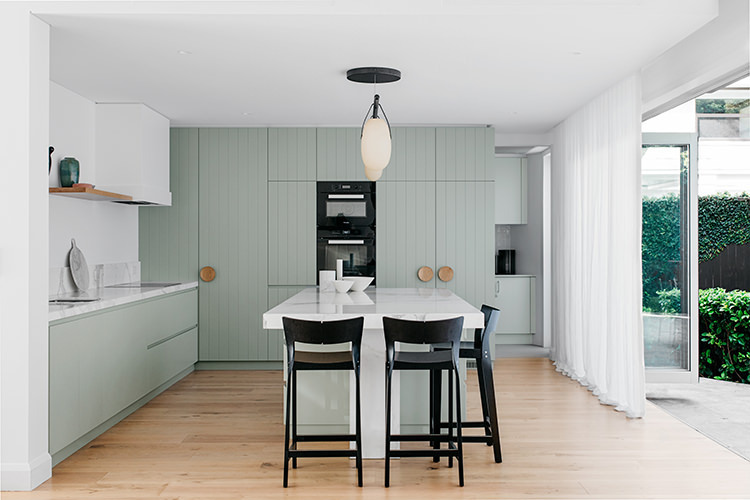 So, I’ve gathered together some inspiration for those renovators that want to step outside of the (white) box, and do something a little out of the ordinary with their next kitchen. Grey kitchens have been popping up all over the place of recent. It is a really great option for those that want something a little different, but are still after a light, neutral palette for their kitchen. 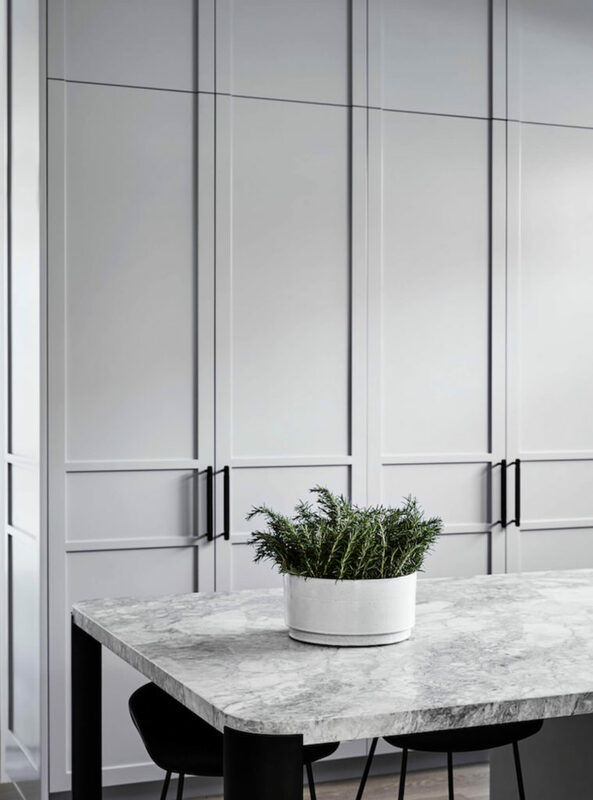 Because there are so many variations of grey available, it means that it can work in with a multitude of different material combinations, as well as many kitchen styles — from a really modern, minimalist look through to a sophisticated heritage renovation. Grey is well suited to natural materials such as marble and timber, and would be a great base for interesting hardware options such brass, matte black or leather. If you’re after warm and natural material for your kitchen, then timber veneer or plywood is a great option. Again, there are so many colour variations available with timber veneer cabinetry, it can suit a good variety of home styles particularly modern or even mid-century homes. The trick with this material is choosing a finish that is high quality. 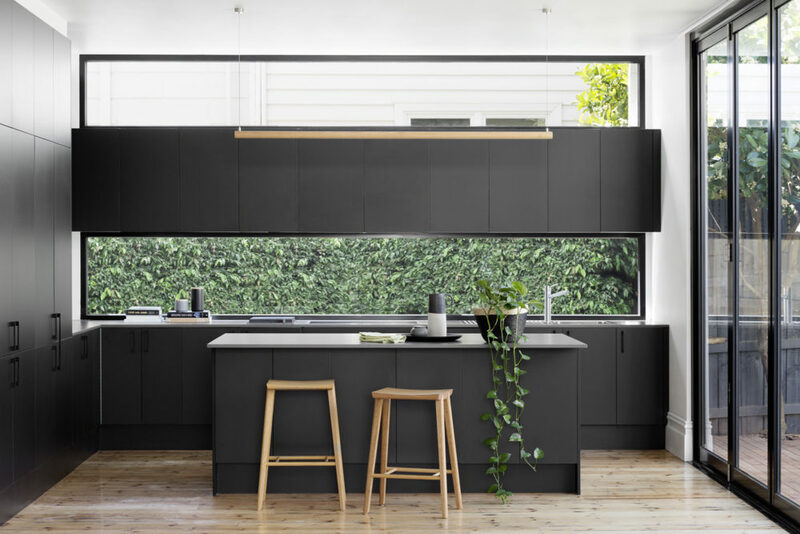 You will pay more for it than standard cabinetry options, but given that it inherently has a lot of texture and character, you can pair it with simpler benchtop and splashback options and still achieve a high quality overall finish. Black is a great option if you are after a sleek and sophisticated or industrial style kitchen. If you love the look but are concerned with it perhaps looking a little too heavy or masculine, opting for a black stained timber veneer cabinetry (instead of a flat black) will add texture, and incorporating elements such as marble or natural timber will add warmth to the overall look. If you are after something a little more opulent, pairing black cabinetry with marble benchtops and brass hardware will definitely give your kitchen a luxurious feel. The epitome of fun! One way to add bucket loads of personality into your kitchen is to add colour! Yes, it is definitely riskier than any of the above-mentioned options, but if you really carefully consider your colour choice, how it fits in to your overall interior scheme/style, and pair it with good quality materials and fittings, you can achieve a beautiful kitchen that will absolutely stand the test of time. Have these kitchens that aren’t white inspired you to try something a little different for your next kitchen? 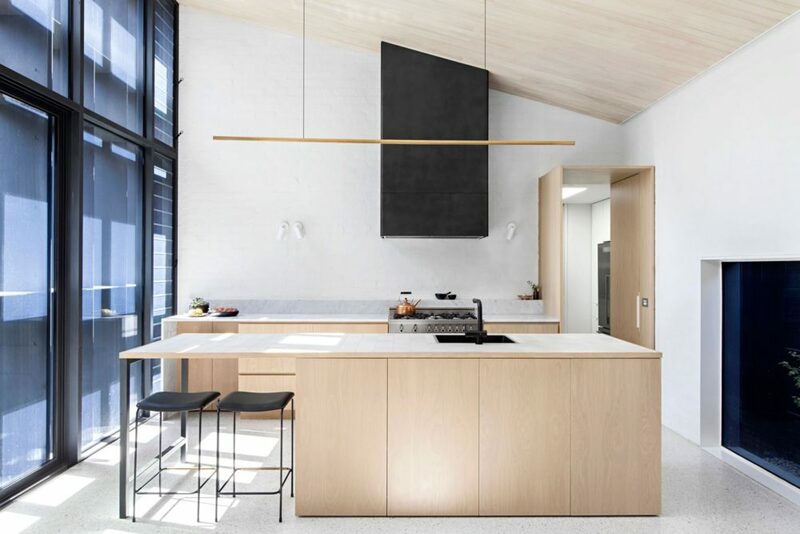 While we’re on the topic of kitchens, have you seen these Different kitchen lighting options?